Steve concentrates his practice on all types of litigation and in public law and environmental matters. He has been involved in many environmental cases, one of which included serving as third-party plaintiff's counsel to seven Fortune 500 companies in bringing a third-party complaint against more than 350 other generator and transporter companies in a major Superfund site in Ohio. Steve has successfully represented both private and public clients in landmark zoning, land-use and eminent domain cases before the Ohio Supreme Court. He has also been involved in complex commercial litigation of all varieties, including both federal and state securities matters, and significant commercial and consumer class actions. He recently won a jury verdict of over $2.4 million in an accounting malpractice case. Steve is a member of the Environmental Law Section of the Cleveland Metropolitan Bar Association and is a member of the Ohio State Bar Association. He is a former member of the American Bar Association. He was also a member of the Cleveland Bar Foundation's Board of Trustees and the Foundation's Treasurer. 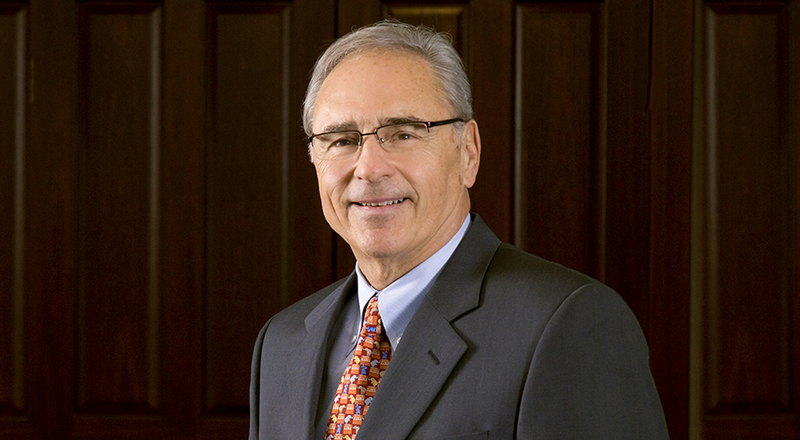 Steve graduated from Case Western Reserve University School of Law in 1969, where he was a member of the editorial board of the Law Review. Three years earlier, he had earned a Bachelor of Science degree in political science from Bowling Green State University in 1966. He is a member and past president, vice president and secretary of both the Ohio Municipal Attorneys Association and the Cuyahoga County Law Directors Association.